In many companies, financial professionals are expected to do a lot more than just the traditional accounting and financial functions, especially in the financial services industry. Particularly interesting was a survey commissioned by the finance and accounting job placement firm Robert Half Management Resources on just this very topic. The bottom line finding of this survey was that, of the 1,400 CFOs surveyed by Robert Half, covering a broad sample of companies by size and industry, the vast majority of them expect senior accountants to have increasing amounts of their time devoted to non-traditional functions, such as strategic planning and information technology projects. On average, the CFOs surveyed believe that a typical senior accountant spends just over a third of his or her time on such non-traditional functions, and they projected this figure to climb steadily over time. Of course, this is a survey and not a detailed, scientific time and motion study. Moreover, it is a survey in which high-level managers make guesses about how subordinates (some of them well down the line) actually utilize their time. So, while one should take the actual numbers with a certain amount of skepticism, it still seems to prove the point that senior accountants are expected to do a lot more than simply tally up figures and produce reports and that these expectations are growing over time. In the Robert Half survey, 20% of respondents felt that the typical senior accountant would spend over 50% of his or her time on non-traditional functions by the year 2018 or thereabouts. This shows how ahead of the management curve Merrill Lynch was in the past decades since this author's experience as a departmental controller was typical for his peer group. The primary lesson for accountants here is that career advancement in the near future is bound to depend more and more on the ability to take on duties and add value far beyond the relatively narrow job descriptions historically associated with accounting positions. Understanding Generally Accepted Accounting Principles (GAAP) inside and out, and flawlessly compiling numbers as prescribed under these conventions, is not sufficient for the upwardly-mobile and ambitious accountant these days. A large part of the story, not addressed directly by the Robert Half survey, is the effect of corporate downsizing on staffing levels and the duties of employees. As more and more firms adopt lean management structures, multitasking by employees becomes increasingly important and expected. Additionally, by virtue of their intimate awareness of a company's financial position, as the compilers of the numbers, accounting professionals are the obvious persons being looked to for analysis and interpretation of those same numbers. In short, few people in a company are better situated to play these roles than members of accounting staff. 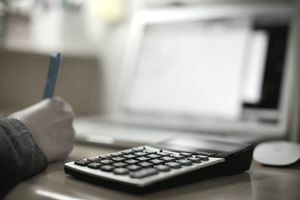 Finally, because of the facility with numbers and attention to detail that the accounting profession demands, accounting professionals are seen as having precisely the correct discipline of mind to deal effectively with other quantitative matters, even those with no direct connection to or commonalities with accounting itself.